Create an attractive display teaching and reinforcing the 72 tricky words. 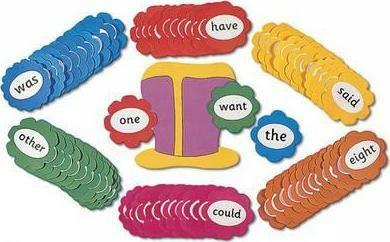 As each tricky word is taught it can be placed around the tricky word hat. There are six sets, each with 12 tricky word flowers. Each of the six sets comes in a different color to help children identify the word they want, when the flowers are displayed on a wall.